Stock up on Grind On Coffee Pods today only at Best Buy! 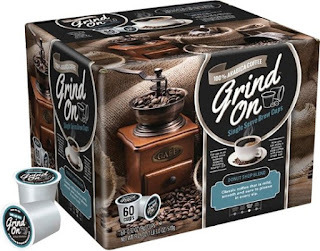 Get the Victor Allen Grind On 40 count Coffee Pods for just $11.99! This post contains affiliate links that may compensate the writer for their work. Check out our full disclosure for more details. 4 coffee flavors available to choose from. So take your pick from Caramel Macchiato, Donut Shop, Seattle Dark or get the Variety pack and save now. This is a great deal at $.30 per coffee pod. Cheaper than a cup of coffee at your local gas station or favorite coffee shop. Save more and make it at home on your K-cup brewer. Get free in-store pickup where available. Otherwise shipping is $5.99. It pays to pickup!